I hereby surrender my country to renewable energy rent seekers. With Labor threatening a 50% RET and a giant carbon tax, Australian industry is ready to pack up stumps and leave. But, instead of fighting for those industries, businesses and the jobs they create, the Liberal/National Coalition has thrown in the towel. STT had high hopes for the Energy Minister, Angus Taylor when he was sworn in last year. 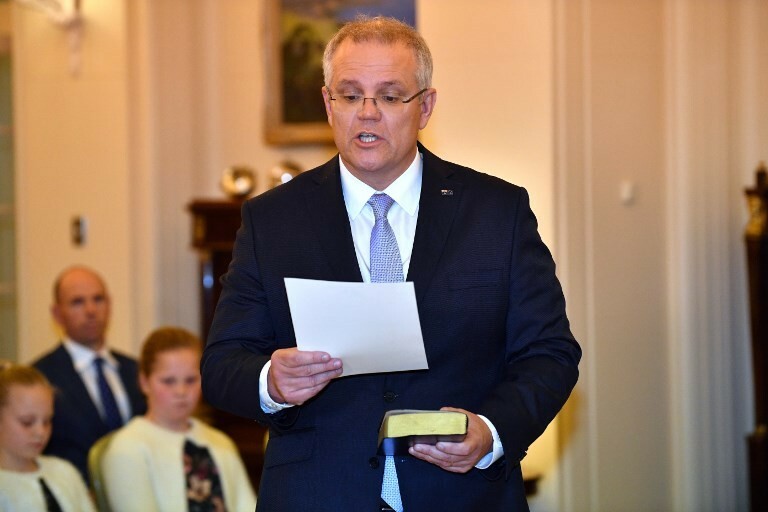 Even Scott Morrison, as he took the helm as PM, sounded a whole lot more sensible on energy than the lunatic he replaced, the patrician and aloof Malcolm Turnbull. But that’s not saying much. But, as the battle lines are drawn for a Federal election set for mid-May, the choice for voters is dismal. The Energy Minister has gone soft and the PM seems content to let the ship of state drift on energy, and much else besides.